A native Houstonian, Randolph W. Evans, MD received his B.A. from Rice University in 1974 and M.D. from Baylor College of Medicine in 1978. Dr. Evans completed his internship and residency in Neurology at Baylor College of Medicine in 1982. He is board certified in Neurology and subspecialty certified in Headache Medicine and a fellow of the American Academy of Neurology, the American Headache Society, and the Texas Neurological Society. Dr. Evans is clinical professor at Baylor College of Medicine and on the staff of Park Plaza Hospital, the Methodist Hospital, and Baylor St. Luke’s Hospital. Dr. Evans has numerous publications. Books include the following: senior editor of Prognosis of Neurological Disorders, 1st and 2nd editions and editor of Neurology and Trauma, 1st and 2nd editions; Iatrogenic Disorders; Diagnostic Testing in Neurology; Neurologic Treatment; the Saunders Manual of Neurologic Practice; Case Studies in Neurology ; Secondary Headache Disorders 1st and 2nd editions; Neurology Case Studies; Common Neurologic Disorders; Migraine and other Primary Headaches; and the co-author of Handbook of Headache, 1st and 2nd editions. 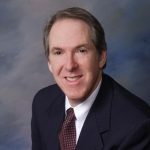 Dr. Evans is an author of over 250 journal publications and 75 book chapters and is on the editorial boards of many publications including Headache, Medlink Neurology, BMC Medicine, BMC Neurology, Headache Currents, Practical Neurology, Medscape Neurology and Neurosurgery, and consulting editor of Neurologic Clinics of North America. Dr. Evans has been an ad hoc peer reviewer for numerous additional journals including BMJ, Lancet, Lancet Neurology, Neurology, and the New England Journal of Medicine and is a subject advisor for BMJ. Media appearances include ABC-News, CNN-Headline News, Univision, CBS radio, The Learning Channel, BBC radio, the Houston Chronicle, the New York Times, the LA Times, Wall Street Journal, USA Today, todaynbc.com, foxnews.com, and msnbc.com. Dr. Evans has been listed in the publications “Best Doctors in America,” America’s Top Doctors,” “Guide to America’s Top Physicians,” “US News Top Doctors,” “Texas Super Doctors,” “Top Doctors in Houston,” and “Doctors Choice Award.” Dr. Evans received the 2014 Texas Neurological Society’s Lifetime Achievement Award. 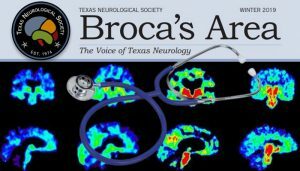 Offices held include president of the Harris County Neurological Society (2002-2003), president of the Texas Neurological Society (2005-2006), and chief of neurology at Park Plaza Hospital.